I love dystopian novels. I think I've read more books from this genre than any other. A dystopia is the idea of a society that lives in a repressive and controlled state. Something a lot of us fear today and it's not a surprise the genre is as popular today as it was almost 60 years ago in the cold war period and almost as popular as it was in the World War II. 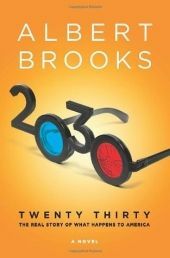 For those of you that are not that familiar, some of the best examples are Brave New World, George Orwell's 1984 and of course Hunger Games. I made a list of dystopian novels that you must read. I focused on novels that aren't that popular. Many of the books you may hear for first time. The Darkest Minds series by Alexandra Bracken is first on my list. 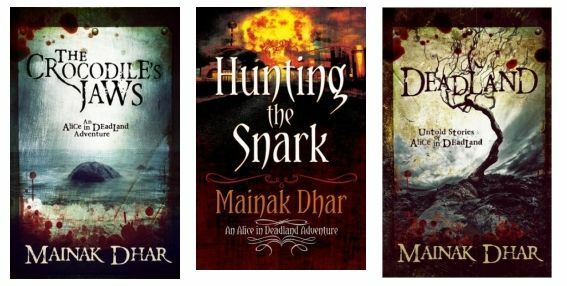 The series is very popular at the moment even if the first book came out in 2012. It's a story about Ruby - a girl that was sent to a "government rehabilitation". She's one of the survivors from a mysterious disease that killed most of the babies in USA. On her tenth birthday she just woke up different. Something in her changed. Something that made her parents lock her in the garage and call the police. She has scary abilities that she can't control. Now Ruby is sixteen and she just barely escaped the camp alive. Now she and the other kids like her are on the run desperately searching for what they believe is a safe heaven - East River. 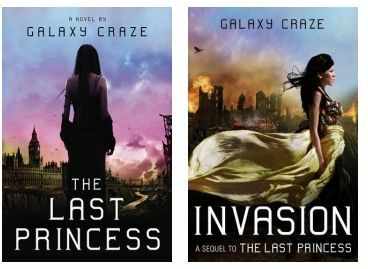 One of the best series you will ever read if you are a dystopa fan. 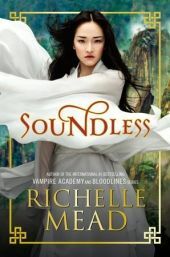 Soundless by Richelle Mead is another must-read dystopian novel from my list. It's very unique story about Fei - a girl that lives in a village of deaf people, so she and her people relay on the mercy of a mysterious faraway kingdom that supplies them with food. After some time the villagers begin to lose their sight as well and the food deliveries shrink. Fei and everyone around her face starvation and darkness. One night she wakes up by a noise. Sound becomes her powerful weapon. 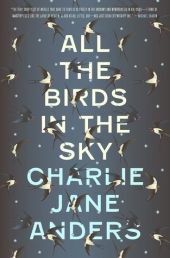 This is very unique dystopian novel. It gets a lot of mixed reviews. It's a must-read in my opinion. After a nuclear detonation the world is destroyed. There are two groups of survivors: those burned, injured and deformed by the radiation; and the 'Pures' - a lucky selected group who escaped the explosion unharmed, protected by a giant bubble called The dome. This is a story of two teens: Pressia - a girl that survived the explosion outside; and Partridge - a boy that was selected to be in The Dome. The series is labeled YA dystopian but I really think it's too dark. It's a good adult fiction to me. Genesis by Bernard Beckett is a story about Anax. Anax thinks she's very good at history. Her examination just has started and if she passes it she will be accepted into the Academy - an elite utopia society. But Anax is about to learn that what she knows about the history isn't the whole truth. An amazing novel! 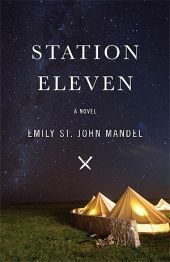 Station Eleven by Emily St. John Mandel is NY times bestseller but I haven't seen much discussions about it. It's a remarkable novel and everyone should know about it. A dark, amazing dystopian novel set in the days of civilization's collapse. Station Eleven is a story about a Hollywood star and a nomadic group of actors trying to survive in the outposts of Great Lakes. A story about art, humanity and risking everything. One of my favorite books on the list. 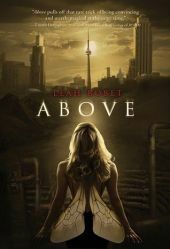 Aberrant series by Ruth Silver is another good series that only few of you may know about. In the dystopian society of Cabal, the government gives all the citizens equal rights. There are food, houses, and jobs for everyone in what seems to be the perfect system. The only requirement is to follow the rules without questioning. One of the rules is to participate in a lottery every year called "The Day of the Chosen". A lottery that randomly selects people to create families and conceive children. Olivia Parker just turned 18yo and she accepted her requirement to marry her childhood friend Joshua. Everything is going fine until one day she gets arrested. Her crime? Her existence. She's born different that everyone else. A must-read! A thought that always terrifies me. Imagine the water is not enough for everyone on Earth. Scary, huh? 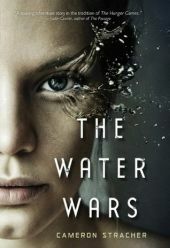 The case in The Water Wars by Cameron Stracher is similar. The story is set in time of The Great Panic, in a country that has collapsed because of environmental catastrophe. Water is controlled by the government, rivers are dammed and the clouds disappear from the sky. 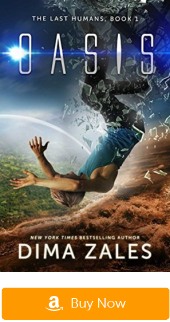 If you liked Hunger games, Divergent or Maze Runner you definitely will love this one. 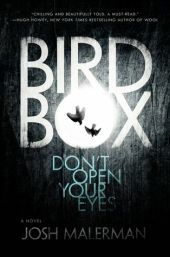 Bird Box by Josh Malerman is getting really popular. It's an amazing book that can be considered horror as well as dystopian novel. Something strange, something terrifying is out there that drives people to deadly violence when seen. Five years after it appeared only few survivors remain. One of them is Malorie with her two little children. They live in an old abandoned house near the river, dreaming about a place where she and her children will be safe. Now the time comes for her to leave and try to get to that place. But something follows them. Is it a monster, an animal or a human? Bird Box is such an original horror. 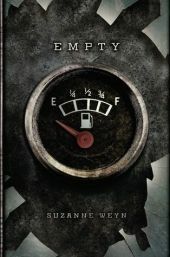 I love Empty by Suzanne Weyn. I just love realistic dystopia. Just like The Water Wars this one is about the world running out of fossil fuel. Realistic and scary as we all know it's a real threat in future. The supermarkets are empty, no more cars on the roads, no gas, no oil. Life is much more local now. Slated by Teri Terry follows the story of Kyla. Kyla's memory is erased, her personality deleted and her memories long gone. The government says she was a terrorist and they are giving her second chance. The only requirement is she plays by their rules. She knows they lie to her, she doesn't know who to trust. It's time she discovers the truth. A must-read for all dystopia fans. Acid by Emma Pass is another good novel on my list. It's 2113 and the world is controlled by the most powerful ruthless police - Acid. Nothing is left unpunished especially the people who oppose it. One of the Acid agents locked Jenna for life. But the time in prison taught Jenna Strong how to survive. 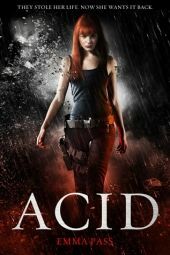 A mysterious rebel group helps her escape the prison and now she has to use her skills to fight ACID. 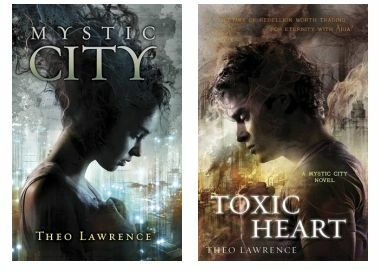 Mystic City series by Theo Lawrence is dystopian series that the fans of Hunger Games, Blade Runner and Matched will love! 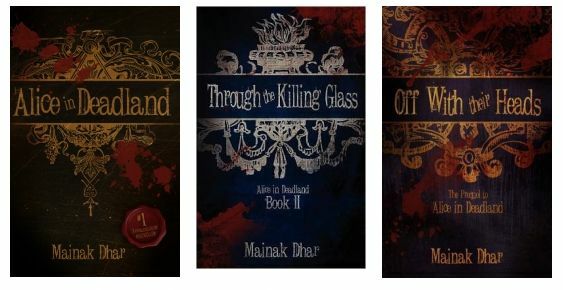 Currently only two of the books are released and the third one is coming out soon. 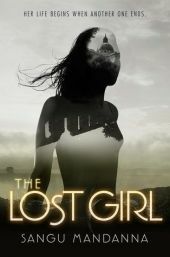 The Lost Girl by Sangu Mandanna has really unique plot. It follow Eva's life... well, it's not really her life. She's a creation, she's made by the Weavers as a complete copy of someone else. A replacement for a girl named Amarra, in case she ever died. Eva studies this girl from far away. She studies how and what she eats, how she kisses her boyfriend and etc. pretty much preparing all this time to replace her. It's been sixteen years now but Eva doesn't feel like she's ready yet. Now she has to leave everything behind. Her friends, her first love, her home place and moves to India and convince everyone that Amarra is still alive. What a unique story! Give it a try. 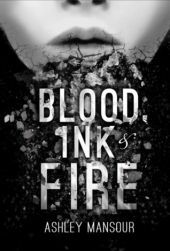 Black City trilogy by Elizabeth Richards is YA dystopia. It's more a love story than a dystopia to be honest but it's really nice one. Not very original but you will like it if you are a fan of the genre. You have vampires in it, you have dystopian society, you have romance. If you are searching for something new to read try these books. 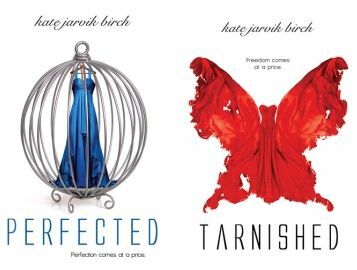 Perfected series by Kate Jarvik Birch is one of the best series in the list. It's exactly the dystopia I like. The government passes a law that allows the humans to be sold as pets. Now the rich can legally own people. The series follows the story of Ella - a beautiful young girl trained from birth to be graceful, elegant, and all perfect for these buyers. Amazing concept. A must-read. The world is divided. Underneath is a place called Safe where all the sick, freak or beast is given a place to live. Above is where all the normal people live. It's a story of a boy named Matthew who finds himself Above even if he was born different. I loved this books because even if it's dystopia it's not very different from the world we live in. The normal people vs the different ones. Okay, this one gets a lot of mixed reviews. I am not sure if the bad reviews are from global warming deniers or from people who just didn't like the series. 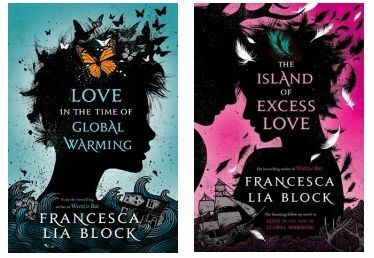 To me Love in The of Global Warming by Francesca Lia Block is very good series. It's a story about Pen and her quest of finding her family after Los Angeles was destroyed by the changes. I highly recommend it to people who are interested in global warming and the potential problems that can cost. The world is at peace. Or that's how it appears. Ella Shepherd has a gift - the ability to enter people's dreams and memories using the technology invented by her mom. Ella starts seeing unpleasant things. Images of her dead dad, warnings on who she can't trust. The government sees her gift and decides to use her to spy on rebel groups. That's where something really weird happens - The leader of the rebel group claims he and Ella used to be in love before. But how is possible since Ella never met him before? It could mean only one thing - Someone's altered her memories. Ella has to make her choice. To help overthrow a corrupt manipulative government or help crush the rebels. 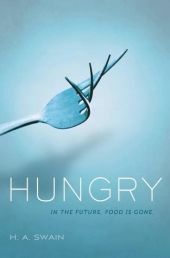 In the near future the food is no longer necessary. People replace the food with pills. There's no more hunger, no more obesity. At least that's how Thalia knows the world. Until she meets a boy who's a member of underground movement to bring the food back. She realizes that these people live much different life. Thalia is starting to feel something strange. Something she never felt before. She's hungry and the pills aren't working anymore. Together they will try to find the only thing that will help with their hunger - a real food. Everything started with a bus accident. Daisy was a little girl was a little girl at the time and she barely survived. She doesn't remember much. 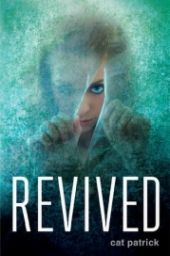 At that moment she became an experiment in a government program testing a drug called Revive. At age 15 Daisy has died five times and revived. Each dead means a new identity for her, new name, new place, new friends. Some people find it similar to Slated series. Really decent dystopia. 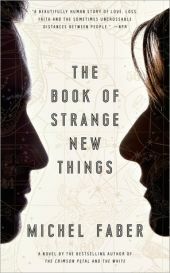 The Book of Strange New Things by Michel Faber is an amazing novel. Humanity has finally reached his first world that can be inhabited - Oasis, and now a giant corporation is working to build a colony there as Earth's conditions worsen. The natives from Oasis want one thing - a preacher. They've had very little introduction to the Christian faith and the last preacher sent from Earth goes missing. When Peter arrives to Oasis he knows something is not right. Why does colonists disappear and why does the natives are so eager to learn about Christianity? In future the books are just a memory. They are replaced by a stream of images called Verity. Reading is forbidden and reader cannot exist. But while the other people see images, Noelle sees words. She's wants to know what they mean and where they come from. She's keeping her dangerous fixations to words in secret until the day a rare interruption of the images happen. It's really unique novel that gets a lot of mixed reviews. I love books with original stories and that's why I've put this one on my list. Zombies and a story of a girl and her family trying to escape before the government nuke the place. It's not original plot but it's really a good story. 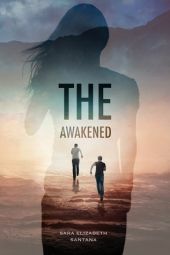 The Awakened by Sara Elizabeth Santana was just published a month ago but already received so many positive reviews. 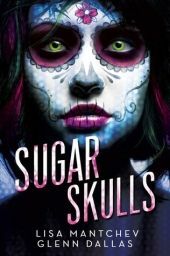 Sugar Skulls by Lisa Mantchev is another one of the dystopian novels deserving a place on my list. It's a story about Cyrene, a city where for currency they use energy and the music is the lifeblood of their youngest citizens. It's like the largest playground where all the citizens are encouraged to experience all the physical and emotional pleasure imaginable. Have you watch Monsters Inc.? There's a similar concept in the book. The city of Cyrene discovers a new method to generate energy and it's through their citizens emotions. Nirvana by J. R. Stewart is a story about the animal activist and rock star living in a dystopian world where you can access a virtual reality. After the disappearance of her soulmate she finds escape in this world called Nirvana, controlled by the Hexagon. It's the first book of the trilogy and it was released just few months ago. 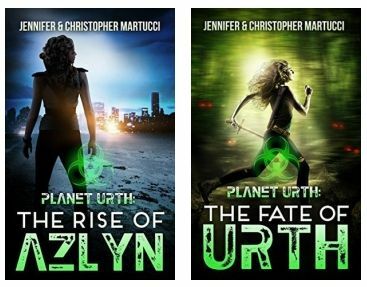 It promises to be an amazing dystopian series. 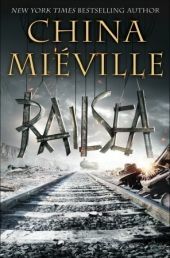 Railsea by China Mieville is one of my favorite dystopian novels on this list. Trains, giant evil creature, a mixture of dystopia and steampunk. This is the novel for me. It's labeled as YA but I think it's a good book for all ages. This is my kind of series. It's not popular at all but I think more people should know about it. 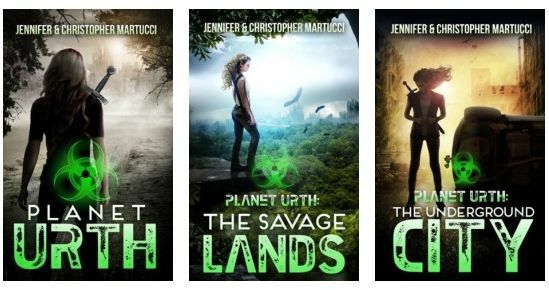 The Planet Urth series by Jennifer Martucci and Christopher Martucci is a story about the future of humanity. Two hundred years in the future, human beings are almost extinct. The planet is destroyed by a war and it's population suffering from disease and dying. Very few humans survived and are unaffected. Most of the other change and turn into something horrifying. The chemicals and the new atmosphere creates new species. The whole North America is destroyed and it's in ruins, overtaken by mutants known as Urthmen. 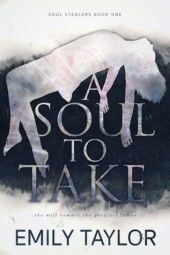 Avery is seventeen years old, alive and unchanged. She's the sole protector of her little sister as they both lost their parents. Forced to hide outside the cities that are controlled by the Urthmen they try to stay alive as they are constantly hunted. Give chance to these series. It's one of my favorite on my list and a lot of you will love it too. Speaking of realistic dystopian novels this is probably the most realistic one on my list. It's 2030, cancer was cured 15 years ago. Now the population is growing rapidly as no one is dying from the number one killer. This seems like a good thing if we don't count all the baby boomers. The resources of the Earth are draining fast and it causes clashes between the youngest and oldest generations. On June 12 everything changes after a massive deadly Earthquake and the government not being able to properly respond to it because of lack of money. Cloud Prophet Trilogy by Megg Jensen has both romantic elements, dystopian and fantasy. It's really unique fiction and deserves its place on my list. 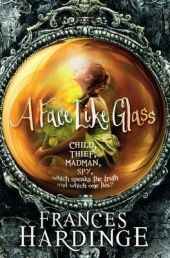 A Face Like Glass by Frances Hardinge is a story about the underground city of Caverna. It's a city where the most skilled craftsmen create their art. Wines that can remove memories, cheeses that can make you hallucinate and so much more amazing delicacies. The people of this city are ordinary except their faces. Their faces are blank. Expressions is something that must be learned. In this city there's a girl that's different. Her name is Neverfell and her face is so terrifying for the rest of the people that she has to wear a mask all the time. Neverfell's emotions are so obvious on her face that she's a threat for the whole city. An amazing novel about magic powers, time machines and a world that is coming to an end. It's really weird book in a good way but definitely it's not for everyone. 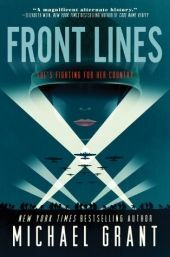 Front Lines by Michael Grant is the first book of a trilogy called Soldier Girl. The book was published two weeks ago and it already received few very positive reviews. Front Lines is a historical dystopian fiction. In this trilogy The Second World War involve women as well as men. Females are now a subject to a military draft which is gonna change the whole history. 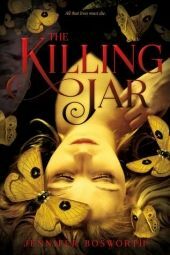 The Killing Jar by Jennifer Bosworth is a great read. It's definitely horror-dystopia YA novel. It's beautiful and creepy. Again not for everyone as it's kind of weird so I suggest you to read some of the reviews before trying it. 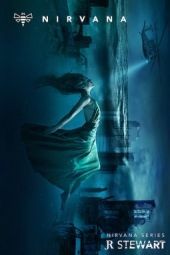 Alice in Deadland is best seller series and yet I never met a person that knows about it so I decided to include it in my list. Civilization has ended more than 50 years ago. Now what is left is huge wasteland and millions of undead that terrorize the humans that are still alive. The fifteen years old Alice has spent her whole life living in the Deadland learning how to use guns and knives. One day Alice follows one of the undead into a hole in the ground. That's the beginning of her adventures where she will discover that behind the destroying of humanity there's a big conspiracy. It's a series of seven books that you will love if you like horror. The world has changed and the demons are no longer just a myth. They live in the society or at least that's why the government says. Agent Elixia Albelin knows a lot about the demons from personal experience and she will do everything to protect the innocent people. This is the first book from the trilogy. 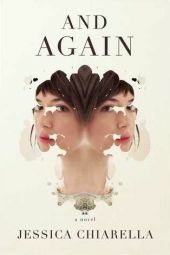 And Again by Jessica Chiarella is a story about four individuals that are given a chance to continue living their lives in a genetically perfect versions of their bodies. Would you say yes if they gave you a second chance? Hannah, Connie, David, and Linda - terminally ill patients have been selected for a special program. They are granted perfect bodies. The Earth's rotations slows down which means longer arctic nights, burning long hot days. The humanity is in battle to survive. Some people chose the mountains for shelter, other the ocean. Liv was raised on a ship. She has never seen a night and never known what's true cold. That's until the day a storm destroys her home and she steps on a land for first time. 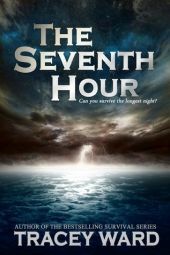 The Seventh Hour by Tracey Ward is a really nice novel that was just released last month and already received lots of positive reviews. 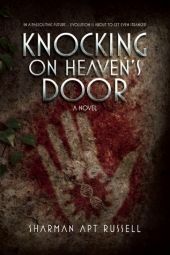 Knocking on Heaven's Door by Sharman Apt Russell is another one of the new dystopian novels on my list. It last published last month and you can find really nice reviews about it already. In 23rd century the Earth is hotter and more volatile. Jon and Clare live in utopia. They are hunting and gathering in small tribal bands with their own rituals. Extinct animals like the mammoth are bring back to live. People have solar powered laptops and they still communicate through Internet. The physics also advanced and the scientist were able to bring back extinct species from the Pleistocene which turned out to have telepathic skills. A really unique novel! A must read! 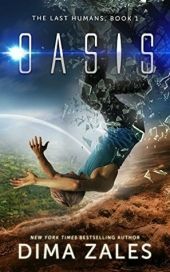 Oasis by Dima Zales is the first book from the The Last Humans series. 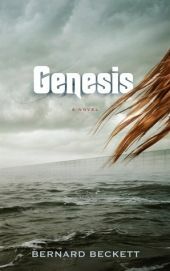 A new dystopian - post apocalyptic best seller book by this author. Oasis is the last habitable area on Earth. It's made to be a paradise and a place where all can live together and save the human race. Teo is one of the citizens of Oasis. But now he's different. Now he hears a voice in his head, and she tells him things no imaginary friend should know. This is probably gonna be my favorite book of the year. One of the best books on the list. In the city of Evanescence, how you look is everything. Ella is naturally born and not perfect like the other. All she wanted her life is to be like everyone else. Devastated by her dad's death and struggling with her physical imperfections, Ella is surprised to learn she's not alone, but little more than just a prisoner. 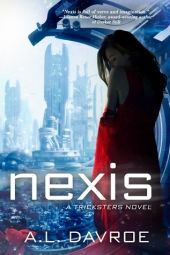 Her only escape is to live another life in a virtual reality game called Nexis. 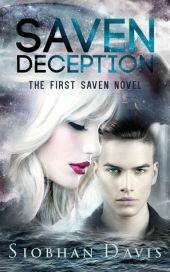 Saven: Deception by Siobhan Davis is another new dystopian novel that makes it to my list. Sadie Owens is slowly dying inside. Depressed and living a life she hates she dreams of a different life. So when she receives an invitation from the government to participate in a social experiment spending six months in a city under the sea, she doesn't think twice. Everything looks so perfect in the beginning but slowly she discovers the government's real agenda. 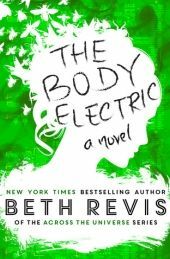 This novel brilliantly combines romance, sci-fi and dystopia. 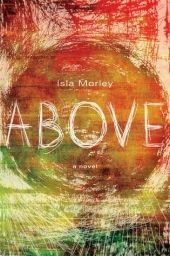 Above by Isla Morley is a story about the sixteen years old Blythe Hallowell. She's abducted by survivalist and locked in a missile silo in Kansas. At first she tries to do everything to get out until the truth of her new existence settles in - the loneliness , the scary madness of her capture who believes he's saving her from the end of the world. Ashfall series is dystopian series that many of you may know about. A huge volcano destroys the home of people, their food, their automobiles and planes. It's a story about survival. A series of natural disasters decimated the Earth. England is cut of from the rest of the world and it's not very dark place. The Sun almost never shines, the food is rare and bands of criminals hunting for prey. The people's anger start growing and ruthless revolutionary movements make the royal family their target. The Buckingham palace is covered in blood as only the sixteen years old Princess Eliza manages to escape. Now she's determined to kill the man who destroyed her family. She joins the rebel forces in disguise with one only goal - revenge. Mila 2.0 is amazing sci-fi thriller dystopian series about a teenage girl who discovers that she's an artificial intelligence. Before she discovered the shocking truth she was just a normal girl living with her mom in a small town in Minnesota. Now she has no choice but to run and hide from dangerous operatives that want to terminate her because she knows so much and another group of people that want to capture her alive for the same reason. It's really different dystopian YA. 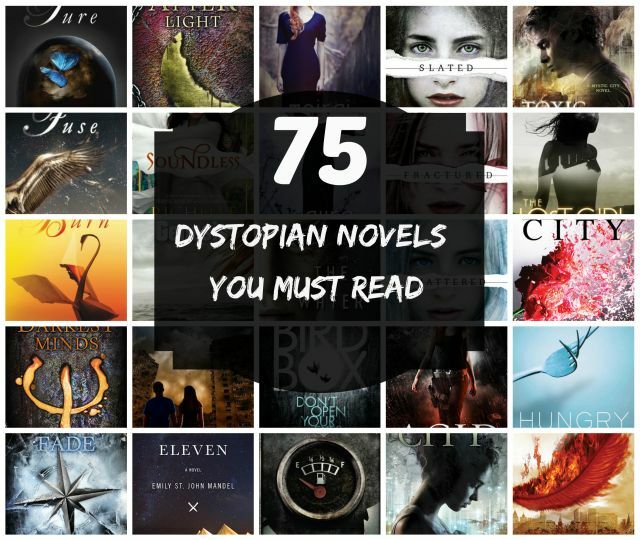 This was my list of dystopian novels you must read. Tell me what you think and give me your suggestions about books I missed on my list.